A short trip to Beijing for business provided only one and a half days of being a "tourist" and taking photographs. 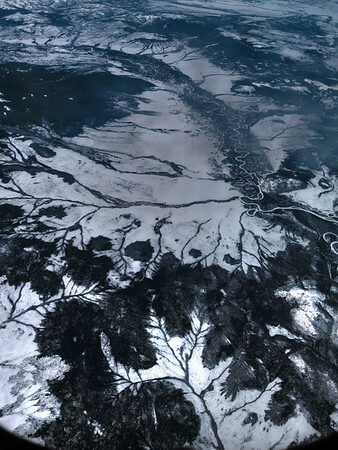 The first two shots are from the flight over Siberia - not really "China" but part of the trip. The last day was spent in the Forbidden City. Another shot out the airplane window on the flight to Beijing. Sometimes I thought I could identify structures or maybe a small town but most of the landscape was just an empty swirl of rivers and snow.